The View speaks for itself...Direct Riverfront Condo with the 10th floor wrap around balcony hosting a sweeping vista from River to Ocean. 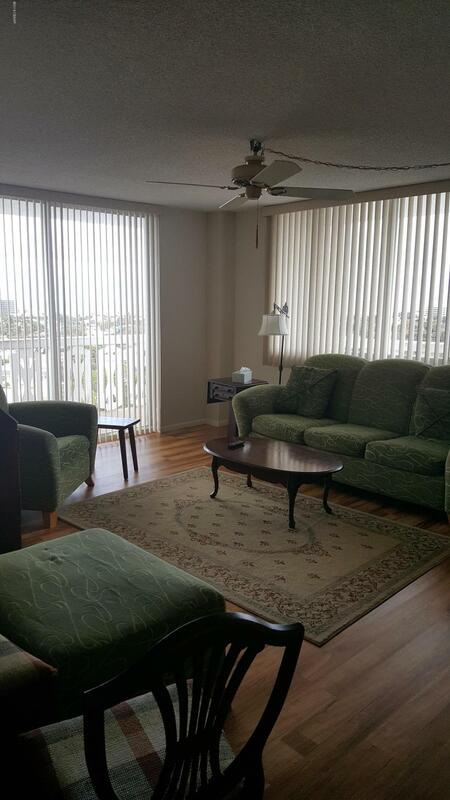 2 bed/2bath bright and airy unit on the 10th floor which gives a view of North and South Daytona. 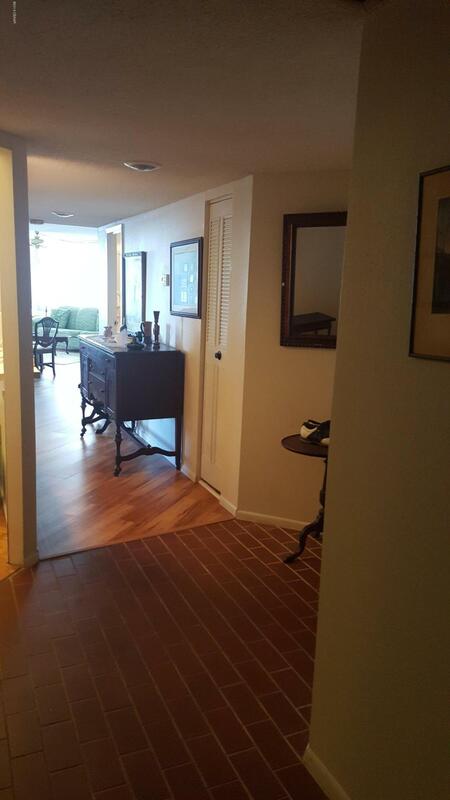 Enter into a large foyer, kitchen has ample cabinets and access to dining/living room. Master bedroom and bath, also offer views of the river, while guest bedroom faces ocean. New wood flooring in the dining/living room area. 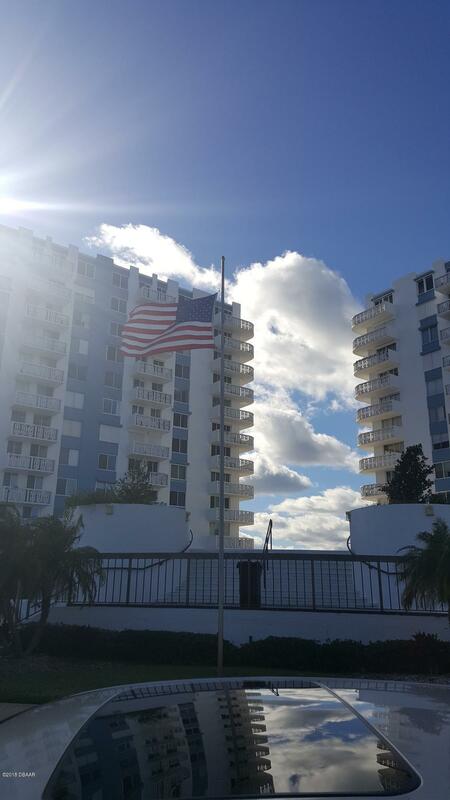 Tiled bathrooms, carpeted bedrooms.Building is one of two towers offering spectacular views of the river life (Watch for dolphins & sailboats) during the day and sunsets at night. Parking lot has staircase leaving to large deck with two tennis courts, landscaping and entrance to both secure buildings. Large pool with lounge chairs directly facing the river, fishing dock and Seabreeze bridge. Amenities include: exercise room, club room, card room, card room, Billards and sauna. You can be as active as you want with community activities, monthly pot luck dinners, holiday dinners, parties, Bingo, movies, or use the room for your own event. 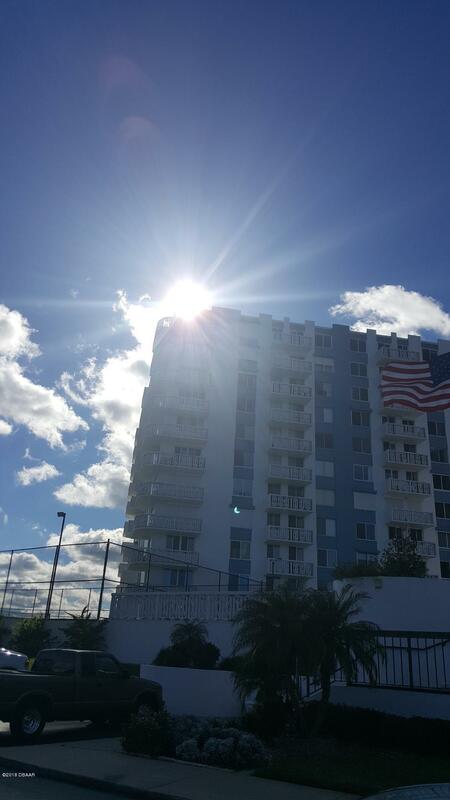 Close to Community playhouse, Peabody theater, band shell, airport, convention center, major colleges, shopping, Houses of Worship, Ocean Walk, Marina, great restaurants. A Short drive to all Ormond attractions and Port Canaveral. This is truly the Florida Style. Furnishings Available with Negotiations. Listing courtesy of Mariah Hochhauser of Century 21 Sundance Realty.